Home MNspotted Fashionably wine it! You know we love good fashion mixed with music, and have been spotting fashionista’s at music festivals and gigs. 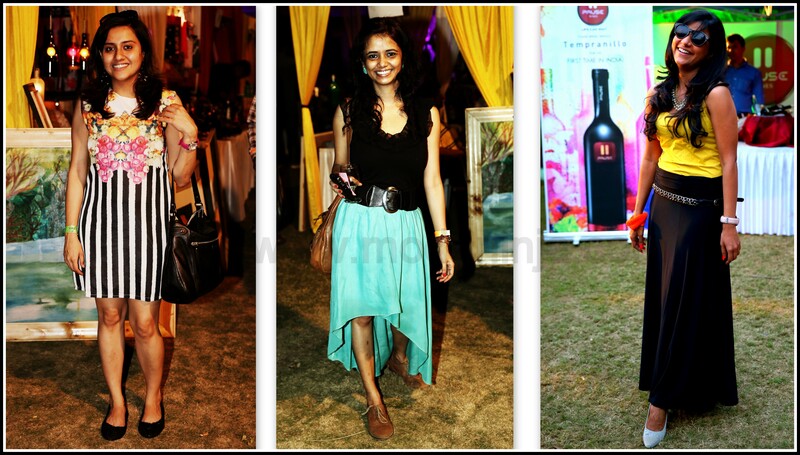 Last month, we were at the Sind Wine Festival, Pune and checked out the style quotient in Pune. 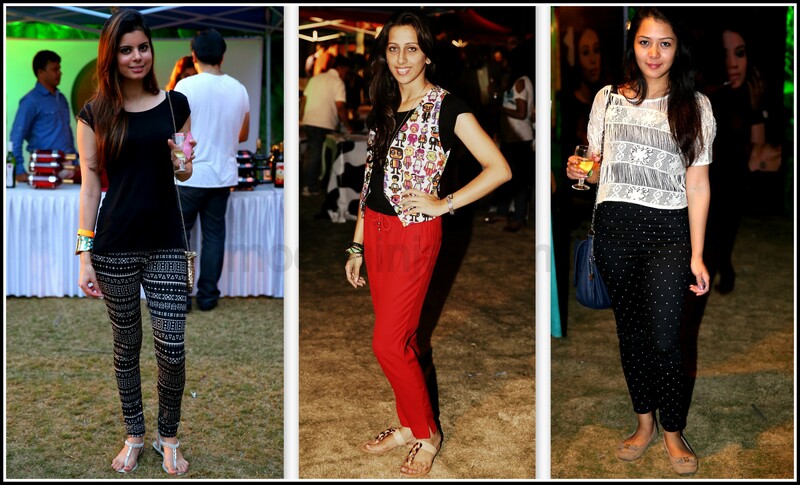 It is always interesting to see people adapt trends from runaway and we are absolutely loving these ladies take on printed, studded and colored pants. 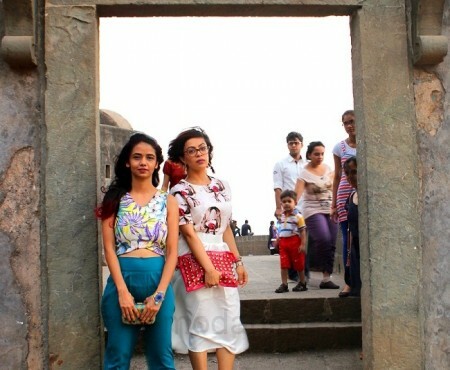 Justine’s Aztec print leggings, Damini’s Quirkbox (read our interview with them here) minion vest and Eva’s studded pants are super trendy and hot off the ramp. 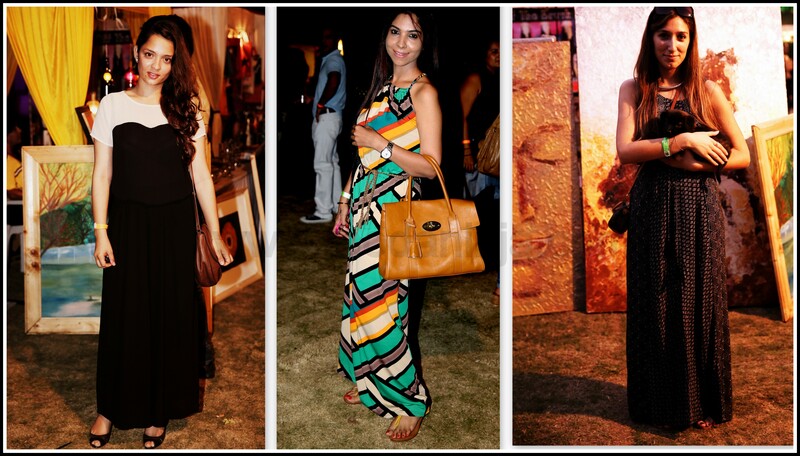 Maxi dresses and pallazo pants still seem to be hot favourite with these pretty girls. This young lady has beautifully adapted the raging black and white horizontal stripes, we love! I wore high and low hem skirt with a plain black top, which I wore differently here: do you like? 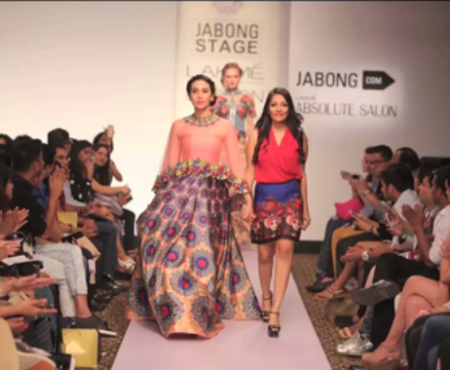 Neha does the sheer skirt with an oomph. Men were heating the trend o meter at the festival as much as the ladies. 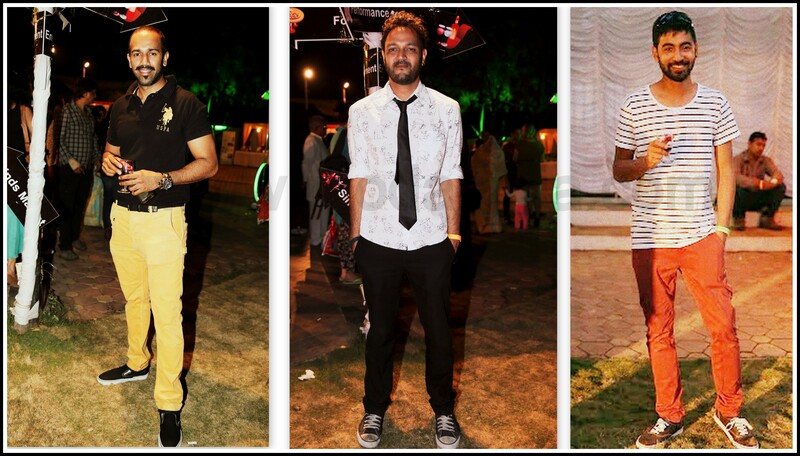 Vishal in Stuck with Stupid, QuirkBox shirt and tie, Wency and Frankie in uber-cool mustard and burgundy pants so hot this season . And not to forget the evergreen converse shoes. Do let us know if you enjoy our #mnspotted series. And if there is a cool festival you would like us to cover, give us a shout!